Thanos Vourdas is the General Secretary of the Ministry of Infrastructure and Transportation. He obtained his degree of Administration and Production Engineer from the Polytechnic University of Crete. He has been Managing Director of ERGOSE S.A from July 2015 until March 2017. 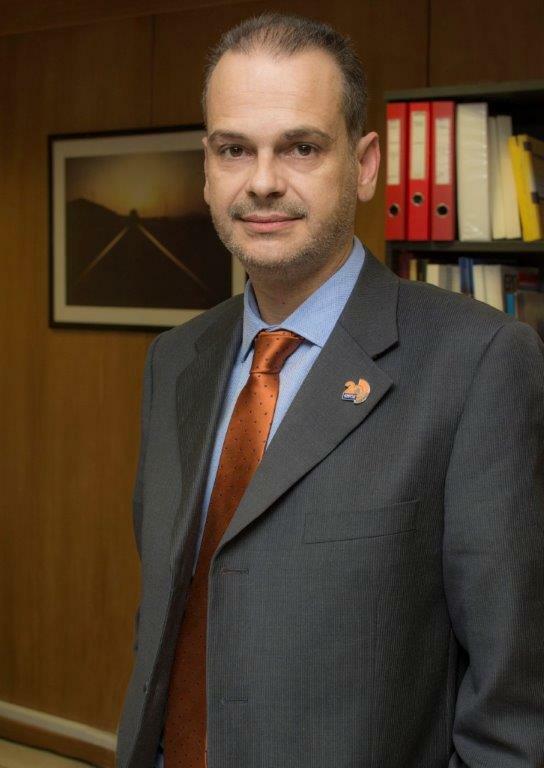 He has also served in positions of high responsibility regarding public administration, such as, special advisor for Ministry of Internal Affairs, Public Governance and Decentralization, scientific advisor for the Ministry of Agriculture and Administration Consultant for Electrified Buses of Athens and Piraeus (ILPAP). He was also coordinator of the Unit of Strategic Planning of the Ministry of Internal Affairs, Public Governance and Decentralization for the People Help Desks (KEP) and for projects of the “Society of Information”. He was member of the Committee for the Communication Actions of the Ministry of Transportation, member of the working teams of the Ministry of Transportation and Communications for the Third Community Structural Fund and member of the teams for planning of the City Transport, for the Athens Olympic Games. As freelancer he cooperated with companies such as Unisystems S.A., REDECON S.A., Kapa Research and Emos Interactive.